She campaigned for her son Jeb during the 2016 election. 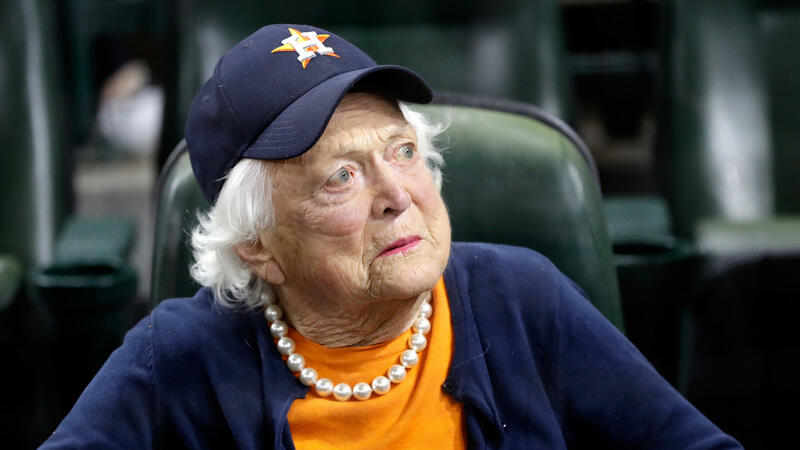 She has been seen less frequently in public in recent months, although she continued to attend Houston Astros games. She sent an update to the Smith College alumnae magazine for the Spring 2018 issue, telling the magazine she credited her long life to "great medical care and more operations than you would believe." "I am still old and still in love with the man I married 72 years ago," she said in her update. "Following a recent series of hospitalizations, and after consulting her family and doctors, Mrs. Bush, now age 92, has decided not to seek additional medical treatment and will instead focus on comfort care. It will not surprise those who know her that Barbara Bush has been a rock in the face of her failing health, worrying not for herself — thanks to her abiding faith — but for others. She is surrounded by a family she adores, and appreciates the many kind messages and especially the prayers she is receiving."